It's a tough road for Uber in France. A Paris court ruled that the company and its two top French executives were running illegal transportation services in France. 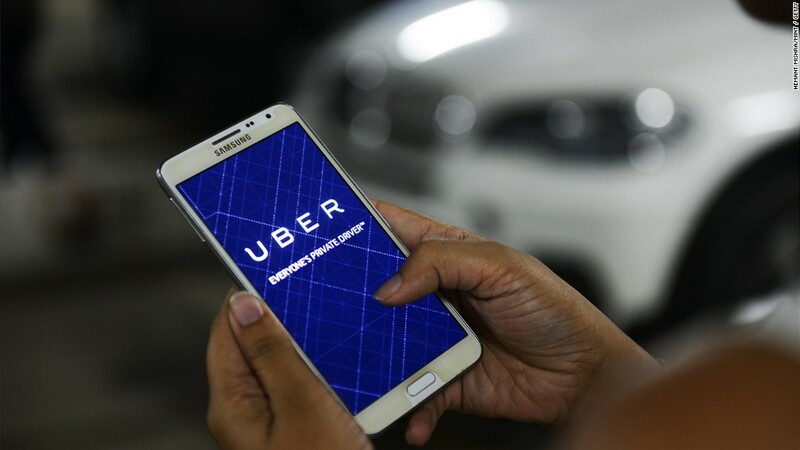 Uber has been fined 800,000 euros (about $906,000), with the two execs fined 20,000 euros ($23,000) and 30,000 euros ($34,000), respectively. Half of each of the fines is suspended. The case concerned Uber's UberPOP app. The service connects riders with non-professional drivers who want to share their own cars. It was ruled illegal by the French government in 2014. Uber suspended the service last summer, after protests against it turned violent. But the company maintains that its activities in France are legal and said it will appeal the decision. "We stopped UberPOP last summer and we are still disappointed by this judgment," the company said. The court ruled against Uber despite a boost the company and other sharing economy services received from Europe's top regulator last week. The European Commission told officials to stop banning firms such as Airbnb and Uber, saying that protecting existing business models -- like taxi companies -- was not a valid reason to ban alternative services. The Commission argued that countries should adopt a softer approach, or risk getting fined. 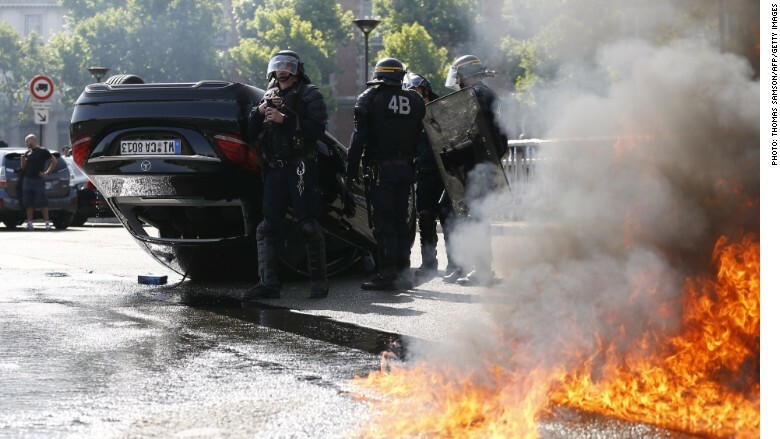 Uber was the target of violent protests in France. Uber said it has 1.5 million customers and 12,000 professional drivers in France. But the company has been facing a backlash in France for over two years. Local cab drivers accused it of undercutting their business by avoiding rules and licensing requirements. The company said its drivers faced "intimidation, violent assaults, and organized ambush" during protests last summer. The French government ordered police to crack down on Uber in Paris after the demonstrations turned violent. CNN's Laura Akhoun contributed to this report.